At SimpleLegal, we celebrate innovation, accountability, and diversity. We are disrupting the corporate legal technology space and believe diverse perspectives will drive continued success. Are you ready to be a part of something big? At SimpleLegal, everything we do is driven by our core values. We strive to incorporate them in everything we do - from product creation to hiring. Ownership is accountability. It means we care about the outcomes of our work and take initiative to achieve positive outcomes. Busy-ness is not our business. A focus on outcomes puts us on the path to achieve extraordinary results. We value meaningful relationships with the people we work with – our team, customers, partners, vendors, and the broader community - and helping them achieve their goals. We remove unnecessary clutter and complexity – not only in our software, but in everything that we do. Simplicity creates speed and clarity. "Of all the places I've worked, SimpleLegal treats its engineers most like the creative, competent individuals that they are, with lives outside of work. It's a great place to work, so the preparation is definitely worth it." 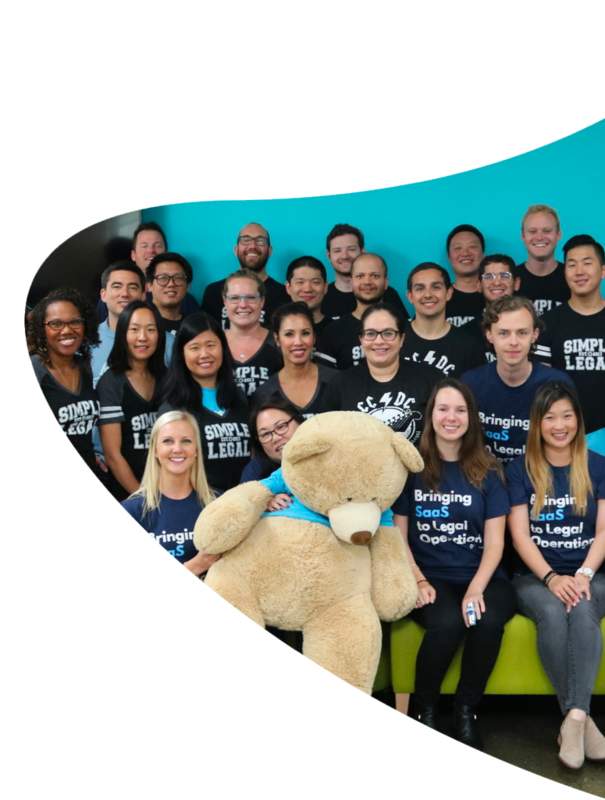 "The things I appreciate most working at SimpleLegal are the solid support and collaboration I receive from EVERY department and the transparency from leadership. We get things done and have fun doing it!" "It's rare in a career to have the opportunity to have an impact on a company's vision and direction. That isn't the case here at SimpleLegal. Our leadership actively seeks out feedback on the company and its direction." "Most companies say you can make an impact - at SimpleLegal you can actually see your impact. Every effort is noticed, every victory is celebrated." "Our team has a very collaborative culture. People are willing to step in and help at any time." As one of the fastest growing SaaS companies, we offer competitive compensation packages, ongoing career development, 401K, and health insurance (medical, vision, dental) – but the benefits don’t stop there!